The South Florida Bloggers had a packed house for April’s meetup. Apparently, we all really want to learn about perfecting the art of sponsorships. And thanks to Annabel Mendez of Marketites, we learned a whole lot about the process. But first: let’s talk about the wonderful people who made the event happening. 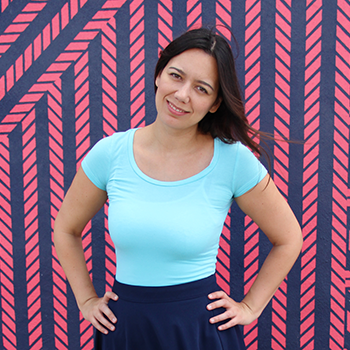 Did you see our amazing photo backdrop? Wha?!? Thanks to the amazingly talented ladies behind Tinseldot (who made the backdrop by hand! ), all South Florida Bloggers were able to go snap happy in front of a beautiful motif. 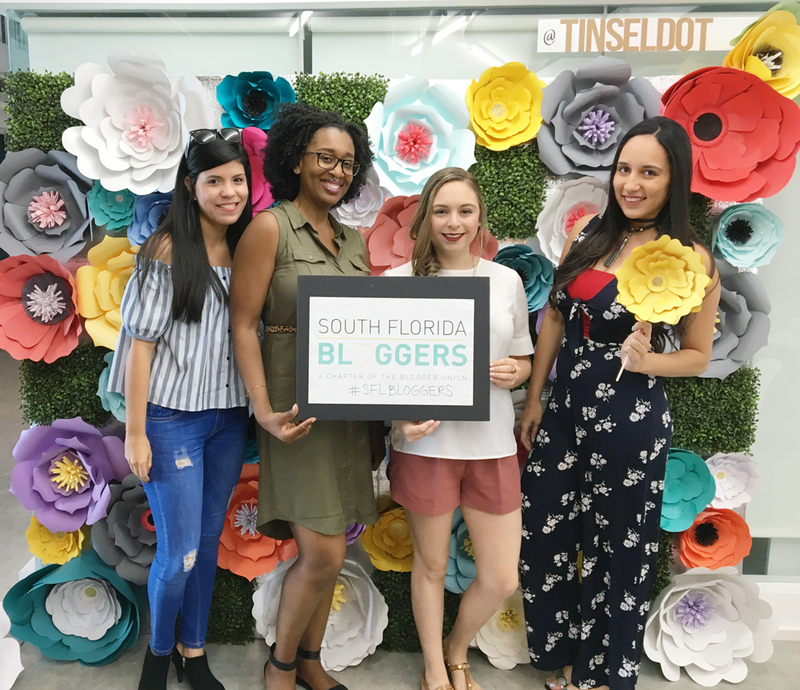 Also, thank you to South Florida Bloggers’ superstar volunteer Mei of (Blame it on Mei), who brought Tinseldot on board, and together with Paola Mendez (of Coral Gables Love) handled so much of the event coordination. Let’s not forget our two sponsors: SquareHue and Keyworking. SquareHue was kind enough to share its beautiful nail polish subscription boxes with us. And Keyworking allowed us to host our meetup at their breathtaking co-working space in Downtown Miami. As for takeaways, we have quite a few. Be active and volunteer with The Blogger Union and South Florida Bloggers! The more involved you are, the more we (the staff) get to see you and know you, meaning you’ll be top of mind when it comes to opportunities. Also, as a volunteer, you get behind-the-scenes access to the business of blogging. When it comes to choosing influencers for their campaigns, marketers look for those who run their blog like a real business. This means having regular content, great quality (good photos, good writing, good ideas) work, and adhere to deadlines. The people who hire influencers are at conferences usually behind the booths. When attending a conference or a talk (like at the South Florida Blogger’s meetup), make sure to introduce yourself and give the contact your business card. If you can’t attend conferences, look for the marketing and PR contacts of the brands you’d love to work with on LinkedIn. When you’re just starting out, offer to do a free collaboration to a brand you really would love to work with. This way, they can get to know how you work and if it’s a worthy investment. But make sure to let them know that you’re happy to do this one for free as a trail, so they know that the second time around would have to charge your fee. Your blogger friends will not only help you grow your audience, but also they will refer you work. Don’t get frustrated by the no’s you will receive. Marketers are catching on to the importance of influencer marketing. We see more and more companies assign budgets for working with influencer marketing. Keep up your great work! As you can see, this meetup was full of plenty of knowledge. If you missed this one, we’d love to see you at May’s meetup, which is all about ethics and professionalism when it comes to blogging.